Q-2 On 5th September Serena Williams won her……………Grand Slam Title. Q-3 Which Committee is associated with Board Of Control for Cricket of India? (i) According to State Bank of India it will re-deploy the surplus employees. (ii) There will be around 2500 surplus employees in the system after closure of SBT branches. 1. Sri-Lanka declared as the Malaria free country. (i) World Health Organisation (WHO) declares Sri-lanka as malaria free on 5th of September. (ii) Malaria is Life threatening disease. (iii) Furthermore, Malaria is Mosquito Borne disease caused by parasitic protozoa. 1. 6th September, 2016 – The first working day of new RBI Governor Urjit Patel. (i) The informal title of new RBI Governor- Inflation Warrior. (ii) He is the successor of Raghuram Rajan who left the office on 4th September, 2016. 1. Serena williams thrashed ‘Yaroslava Shvedova’ on 5th September, 2016. (i) This is her 308th Grand slam win. (ii) She entered into Quarter final of US open by winning this title. 2. International cricket council (ICC) forbids BCCI request. (i) As per the verdict of Supreme court for reforms, BCCI approached ICC to impede reforms. (ii) The recommendations were made by Justice Lodha Commitee. 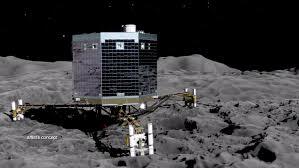 (i) The name of the spacecraft is ‘Philae’. (ii) Furthermore, it was missing since year 2014. (iii) It was found on a speeding comet with name-67P/Churyumov-Gerasimenko. (iv) The announcement came from the scientists of European Space agency.